The pear is a delicious variant of the apple. It is of the same subfamily of the apple. Most of the pears are cold-hardy, which means it can be a viable business if you live at the northern states. Starting a pear farm may take some time but the fruit is sweet to the bite and the ROI (return of investment) is delicious enough to keep you happy for the rest of the year. Pears are edible pomaceous fruits produced by a tree of the genus Pyrus. The pears are related to apples in cultivation, production and pollination. These are popular fruits consumed by Americans annually due to their health benefits and sweet taste. The leading states that produce them are Washington, California and Oregon, in that order. It is a $300 million industry. The United States produces about 1.8 billion pounds or 812,054 metric tons of pears on average every year. Pears are produced in 9 states on 65,000 acres. Yields average 29,000 lbs/acre, which is three times the world average. 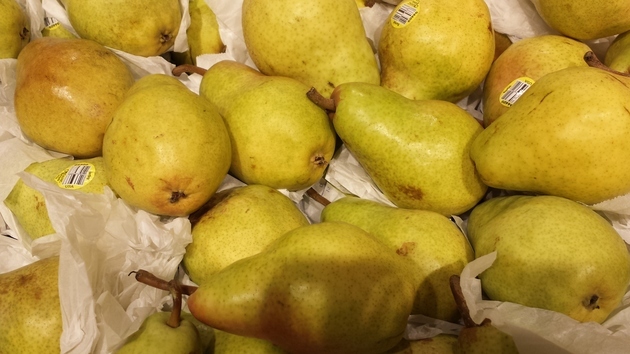 Globally, the top three countries that produce pears are China, Italy, and the United States. According to the Food and Agriculture Organization (FAO), the world produces around 40 billion pounds or 18 million metric tons of pears. It would be best to start a pear farm in any of the nine states that have pear farms already. It would be even recommended to start a pear farm in Washington, where the climate is approximately enough for the pear’s growth. Your main competitors would be the other pear farms. Others use advanced technology but majority of the people use the traditional ways of farming pears. The other farms would outpace each other in production and quality. This is a thing you must remember. You also need to outpace them in production and quality. Hire good people and don’t be tight on budgeting for technology. These are good investments that would help your business outperform and be successful. In the harsh realities of the economic crisis, the land prices have actually lessened and it seems that land is cheaper to buy. This must be your priority in the first place. The land will be everything for the pear tree. It must be big and be accessible. Remember that the pears need big spaces for them to grow properly. You must hire workers that are knowledgeable in growing pears and apples, as they are closely connected. You have to pay good money for the machinery and facilities necessary for the production and export of the pears. Your market must include far-reaching places as these places give good return of investment for your company. The return of investment in the pear industry may not take that long as the pears grow relatively fast. You can however purchase genetically-modified pears to help your pears grow at least fast. It may be slightly pricey but it can be thought of as an investment worth your money as these GM pears grow faster and are healthier and tastier than their normal counterparts. yes good idea for farmers in north India.